Whether you’re a fan of Cheetos or not, I think we can all agree that they are far from the most natural-seeming of foods. 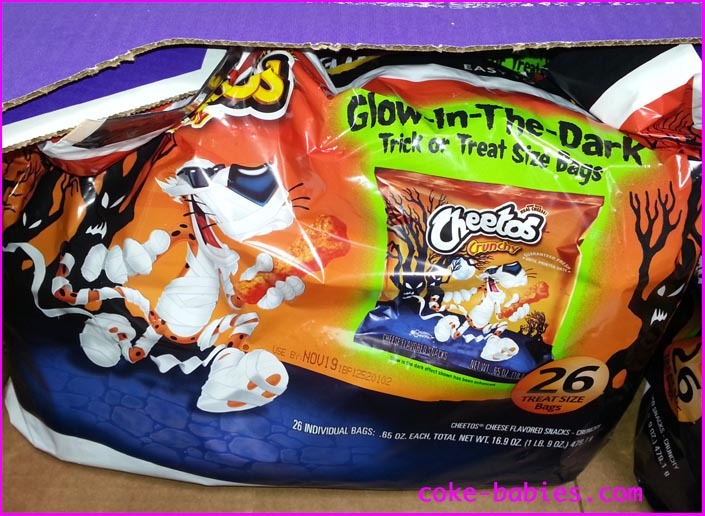 So I was quite disappointed when I saw the display box for the trick or treat bags of Cheetos that read in large letters, “Glow In The Dark”. It turns out only the bag glows in the dark, not the Cheetos themselves. I was so excited for a moment. And yes, that was one sentence. Despite what might appear to be misgivings about pumpkin being everywhere, I usually love pumpkin as a flavor. For me, pumpkin beer has become my own personal Christmas decoration situation. By that I mean, pumpkin beers seem to show up on shelves earlier every year. There is something very perverse about drinking pumpkin beer in August, but if I see it for sale, my principles go out the window. So, with it being very far into fall, by “what’s displayed on store shelves” standards, it’s no surprise that we are being bombarded with pumpkin items, some new some old. One of these new items was interesting in theory, then when it came time to buy them, I was overcome with ambivalence. 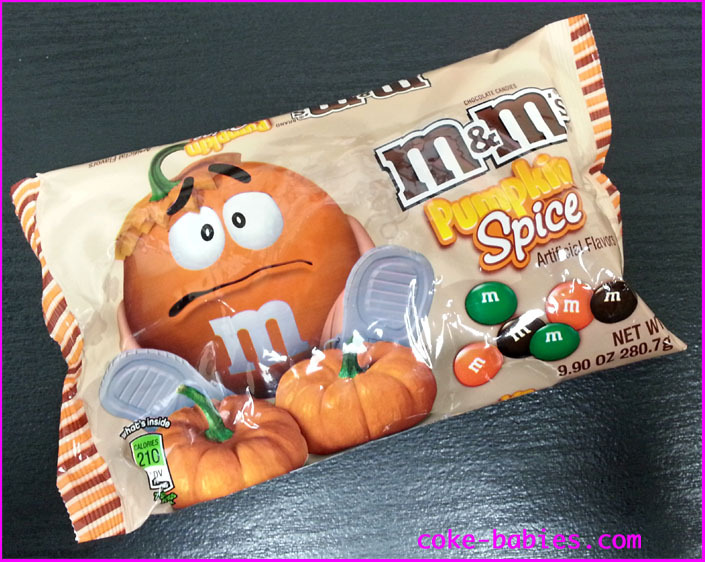 Pumpkin Spice M&M’s sound like they could be very good. But for some reason, M&M’s always seem like such a boring candy to me. I actually really like most varieties, except Plain M&M’s, which are one of the most pointless candies ever. I’ve also never tried that white chocolate Candy Corn because, uh, they’re white chocolate candy corn flavored. 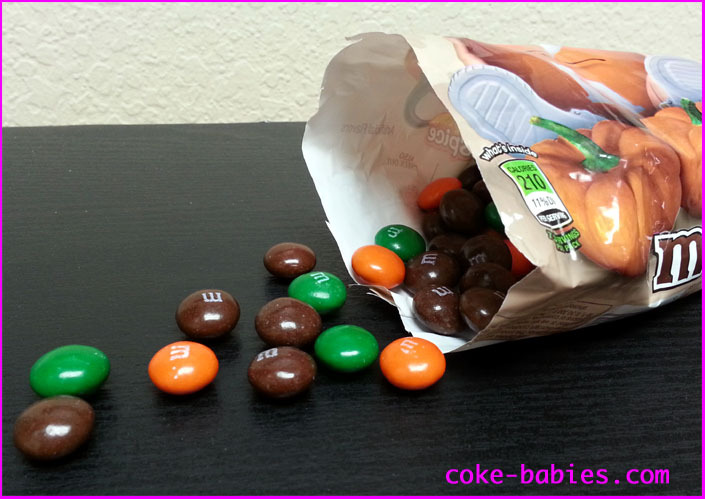 But Peanut, Pretzel, Peanut Butter, Almond, that mint one they had last year, most non-Plain M&M’s are good. They just are not exciting. So, I figured Pumpkin Spice would be another serviceable flavor that you eat mostly just because they’re in a bowl in your house or on your desk. 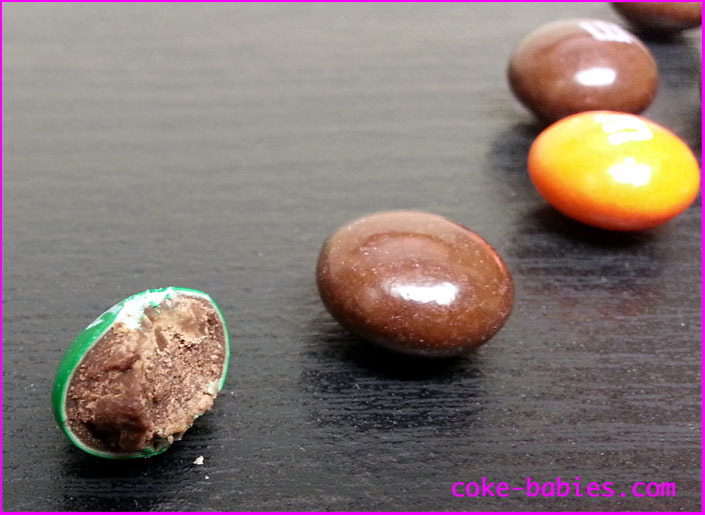 Their shape is like a fat Plain M&M, or almost identical to their mint flavor. I actually like this shape more than the normal Plain, or the big ovular Peanut. Since you buy the specialty flavors for the unique flavor, you want more of the chocolate, less of the shell. The colors are just orange, green, and brown. I guess they figured that while the public is very lenient with the naturalness of candy, we wouldn’t accept a blue pumpkin candy. As for the pumpkin flavor, the M&M’s are surprisingly restrained. Many pumpkin candies and sweets just punch you in the face with spices. Oddly enough, the initial flavor almost seems to need a bigger pumpkin flavor. You get a lot more of the spices after you’ve eaten them, as the spices linger a bit more than the chocolate. The biggest flaw is that it’s just not that pumpkin-y. It’s almost like stirring pumpkin pie spices into Quik and saying, “Here’s some pumpkin spice Quik!” Yeah, it’s got the spices we associate with pumpkin pie, but at some point, some actual pumpkin should sneak in there. It’s the same with the M&M’s. It’s got the spice flavor, no pumpkin. I definitely can’t give this a definitive buy or don’t buy recommendation, because these are decent but nothing amazing. If you love pumpkin (or, I guess, the spices you associate with it) flavored anything, give it a go. If not… I don’t know. It’s like $2.50 a bag, risk it. Also, these are only available at Target. So don’t get mad and start yelling at the lady at a different store.